Okay, these may now have made it into my top 5 cookies. I can sit and eat like 10 of these suckers. Maybe I need to expand to my top 10 cookies? But that would probably expand my waistline even more. These make a great bake sale cookie as it yields quite a lot. There is not a strong hot cocoa taste, but it contributes to the color and a little background flavor. 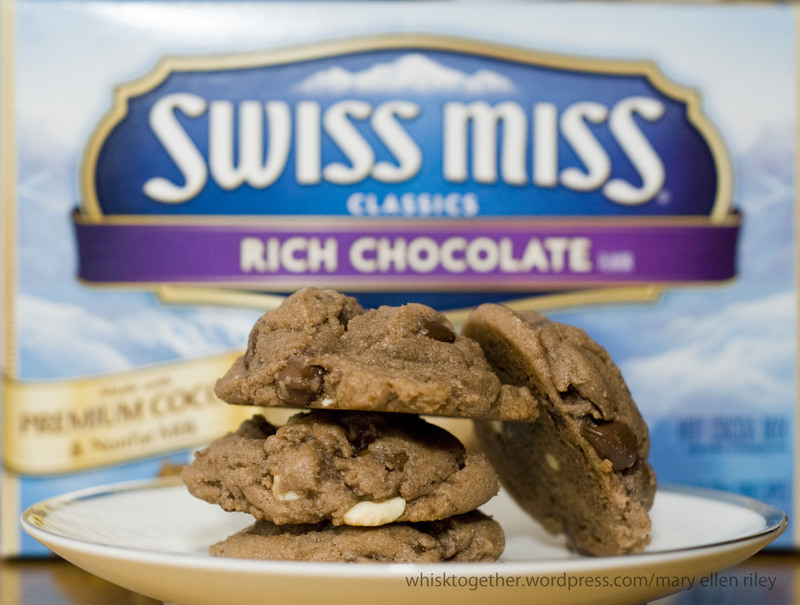 I love how the white chocolate chips remind me a little of mini marshmallows in the cookie. Every year I make a ton of candy and cookies in one night so that my friends and family can have them fresh the next day. How to make 8 different cookies and candy in one night? Baby steps. First, pre-measure all of the dry goods and put them into ziplock bags. When you want to make your cookies, just dump the dry goods because it is already measured. Second, have all your recipes out clear and double check ingredients. You don’t want to be short a stick of butter. Third, have all the main ingredients already out like chocolate chips, pecans, etc. and pre-measure all those too. Fourth, decide what you can make ahead of time. Usually homemade fudge will still be just as delicious 2-3 days later. 2 sticks of unsalted butter, room temp. 1. Preheat oven to 350 degrees. In large bowl, cream butter and sugars together. Add eggs one at a time. 2. In medium bowl, mix the dry ingredients together: flour, cocoa mix, salt and baking soda. 3. Add dry to wet and mix until combined. Fold in chocolate chips. 4. 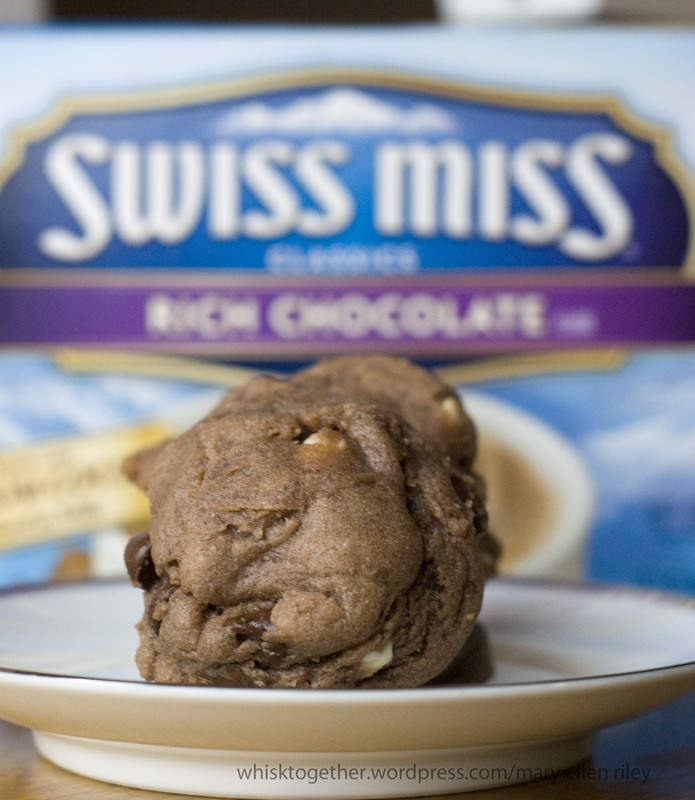 Chill the cookie dough in the fridge for about 1 hour. 5. Using medium scoop (1.5 Tbs. size), drop cookies on cookie sheet and bake 8-10 minutes. Bake 10 minutes if baking from their frozen state. Cool on sheet 5 minutes and allow to cool longer on wire rack.